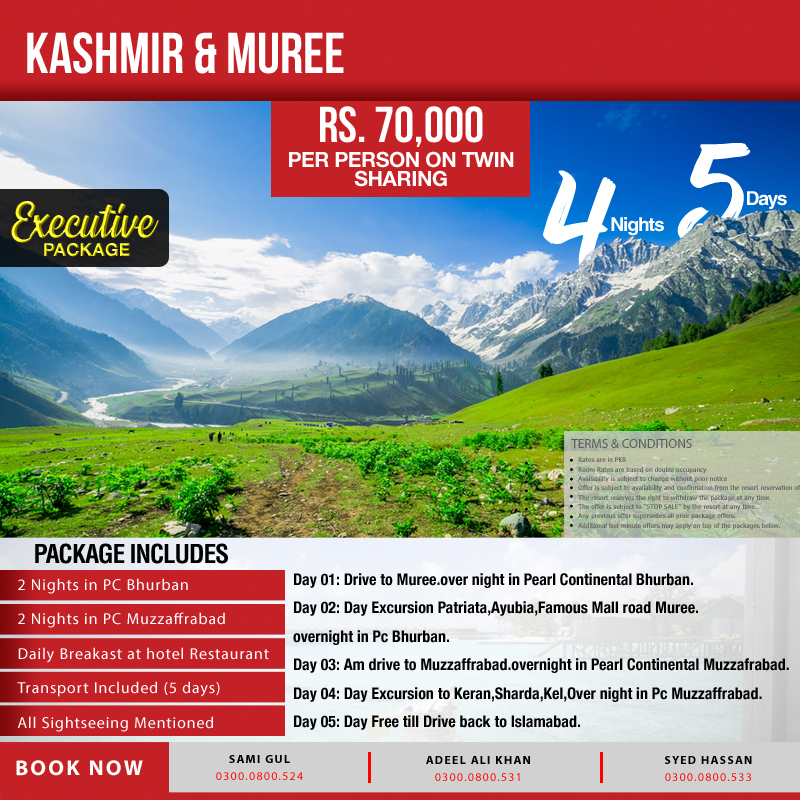 Muree Tour with PC bhurban and PC Muzzaffarabad with daily breakfast and transport included and sightseeing. The resort reserves the right to withdraw the package at any time. The offer is subject to “STOP SALE” by the resort at any time. Any previous offer supersedes all prior package offers. Additional last minute offers may apply on top of the packages below. Domestic Tours, Packages Valid. permalink.